Consider these two pictures of a God who rescues his beloved. David recalls a time of helpless flailing amid a surging sea of powerful, relentless enemies. Although we can trust that his troubles and subsequent rescue were quite real, David describes the work of God’s saving grace in the figurative sense … reaching down, taking hold of him, strengthening him for the fight of his life, and then setting him on solid ground—where he can breathe easily and deeply—far from the swirling tides that had engulfed him. David recounts joyfully the reason for this rescue: the Lord is moved by a sense of sheer delight, not mere duty. The earthly king of Israel delights in knowing that the one and only King of kings delights in him. Just as David pursued God’s heart, so too does Peter. Jesus bids him come, and he does. In faith, the disciple walks a few steps across the waves. Then he takes his eyes off Jesus and plunges into the dark, choppy waves. Here, God in the flesh literally reaches down, takes hold of Peter, and bears him across the swelling surface of the sea to the boat full of open-mouthed disciples. In the course of this rescue, Peter is admonished for his faltering faith. 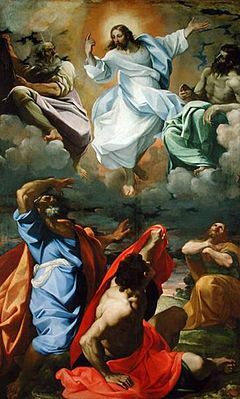 This rebuke notwithstanding, Peter gains unique perspective: he seems to be the only disciple whom Jesus directly and physically saves before the ascension. How might this have felt? The strong, outstretched arm reaching down into the roiling waters … the touch of the tightening grip around a shivering limb … the sense of weightlessness as the Rescuer gracefully lifts the heavy deadness of a body given over to gravity … the exhilaration of feeling your heels skimming through the wave-tops as the Savior whisks you to the boat (the lifeboat), where you are awakened to the wonderful fact of stillness, rest, and restoration. Truly, indeed. May we not only acknowledge Christ’s majesty but also, like Peter, experience the thrill of that majesty wrapping around our pummeled souls in the merciful embrace of His rescue.